Big Sky outside... but happily stuck inside. We screened Disarm at the 2006 Big Sky Documentary Film Festival, which was my first film project, my first time directing, my first time screening it to the public, and my first time participating in a film festival. Well, for an event full of scary personal firsts, and despite screening at 10am on a freezing -20˚ thursday to a decent group of brave viewers, i had a blast, learned a ton about the documentary film world, and made some great connections and friendships there. Not to mention, i got to party a ton with legendary filmmaker Les Blank (who also happened to shoot the cemetary acid scene in Easy Rider), who is 73 this year! Last week, I was flown back to Missoula, Montana to be a judge at the 2008 Big Sky Film Fest, and again had a great time. Im honored that this will be my third time in the last year judging documentary films at film festivals, including both Jackson Hole Film Fest in WY and Silverdocs (Discovery Channel/AFI) Film Fest in DC. This location of Missoula seems a bit remote, but the quality of the programming, the attending panelists and filmmakers, the great vibe, and the accessibility of everyone at the festival makes this festival an insider's secret. This is NOT a place for VIP badges, industry-insider secrets, closed parties, or big egos. This IS a place to relax, meet people, learn about the documentary film world, and to be inspired. It's a beautiful small town full of friendly people who are enthusiastic about the festival, and actually come to the screenings. This festival has definitely grown since i was there last, and will surely continue to grow in size and reputation. My fingers are crossed for the Big Sky Festival producers to get more sponsorship and attention. The category i was judging was specifically for the feature films involving the American West. Along with my new pal and co-juror Danielle DiGiacomo (seen in photo above with Festival Director Damon Ristau) from IndiePix Films, we unanimously awarded "Class C" the "Big Sky Award" this year. I was also personally pleased that the film was made by first-time filmmakers from Montana about small town Montana Girls High School Basketball, though the fact that it was from Montana had no influence on our decision. This film isn't actually a sports doc at all, and is much more of a sociological snapshot into American culture. After i presented the award to the filmmakers, i even heard the producer emotionally tearing up as he called his wife with the news... Congrads! This year, in addition to meeting Danielle, i had the pleasure of meeting Simon Kilmurry, the executive producer (read: gatekeeper) of POV, who couldn't have been nicer or more informative. I also met Hart and Dana Perry, who were being honored with a retrospective of their work, but hadn't heard of before the festival. 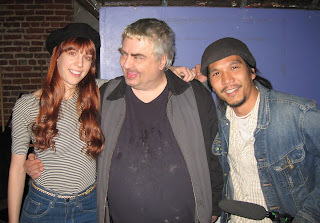 I quickly discovered that Hart had been filming at Woodstock, directed "Harlan County USA", toured filming the Scorpions world tour for years, did the "Schools Out" music video for Alice Cooper, was Jessie Jackson's personal cameraman, etc... the list literally goes on and on.... Hart and Dana pretty much enlightened us all with their incredible stories night after night at the bar. In case you were wondering, "Jimmy Rosenberg: The Father, The Son, and The Talent" won Best Feature. "Kurt Cobain, About A Son"
At this point, im incredibly inspired and can't wait to get back to work on my own projects now! 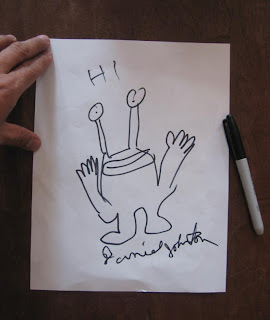 Hi folks. If you're on the east coast, we hope you’re keeping warm! This season, Toolbox is welcoming many new clients, not to mention unveiled new branding identities for The Goethe Institut’s Film | Neu Festival, The National Conservation System Foundation, New Zealand’s Cluster Munitions Coalition, 14th Street's new Cork Wine Bar, and more. 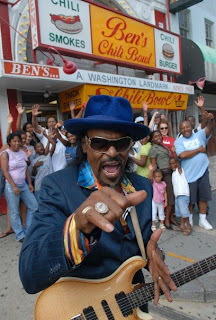 You may have also heard of Eric Hilton of Thievery Corporation’s amazing new DC restaurant/lounge dedicated to Marvin Gaye at 14th/U Street, NW called Marvin. 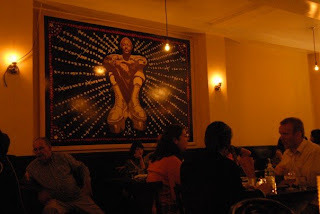 Eric commissioned ToolboxDC to build, design and create an installation piece for Marvin in the form of a large mixed media mural of Marvin Gaye, now prominently displayed as the restaurant's centerpiece. The beautiful piece measures 6 ft by 10 ft, and is actually for sale. Please contact us directly. Our award winning feature documentary film on landmines, Disarm, was picked up and broadcasted by Al Jazeera International, and is currently in negotiations with dvd distributors. This fall, Disarm screened in Paris and in LA, as a special presentation by Global Inheritance and Quiksilver Surf Company. 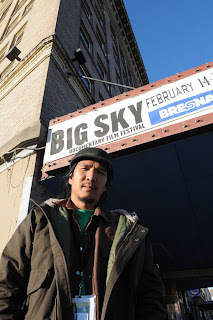 Brian Liu was also a judge at Jackson Hole Film Festival and Silverdocs (Discovery Channel/AFI) Film Festival, and will also be judging at the Big Sky Documentary Film Festival Feb 14 to 19. In addition to a number of commercial shoots, some of our recent video work can also be seen in a new live DVD, Circle of Friends, by Bob Mould (formerly of Husker Du and Sugar) as well as the upcoming Pancake Mountain DVD #5 (episodes 9 and 10). Along with the help of our friend Jerry Busher (Fugazi, French Toast, All Scars, Dust Galaxy), we've also just completed the music supervision, scoring and branding, of Frontrunner, a documentary film by Virginia Williams about the first woman to run for president of Afghanistan. Frontrunner was selected and premiered at Slamdance last month, and will soon continue on it's film festival tour. 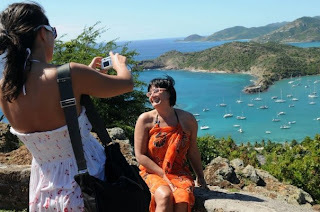 Last week, London based charter airline XL, in combination with the Antigua National Tourist Board and the St. Kitts National Tourist Board, sent Brian with photo assistant Juhi Baig to shoot still photographs in Antigua and St. Kitts to encourage new tourism in those Carribean destinations. Keep us in mind for your creative needs, and keep on the lookout for DJs Yellow Fever every Tuesday night at St. Ex and Marvin, and alternating Weds at the world famous Eighteenth Street Lounge!